The Sustainable Business Center is located in Galesburg, a city of Knox County in West Central Illinois. Galesburg has a rich history and we are incredibly proud to a part of this community. Founded by George Washington Gale, Galesburg was home to the first anti-slavery society in Illinois and was a stop on the Underground Railroad. Galesburg's history and its community continue to be a source of inspiration as we work to better our environment. For a complete list, visit the US. Census bureau website. 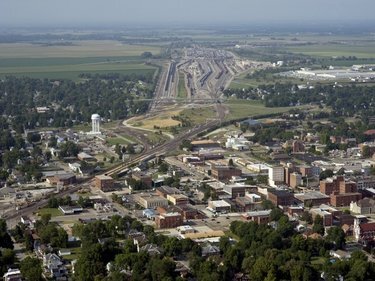 Interstate 74, two US highways, the Amtrak, multiple bus services, and a municipal airport serve Galesburg. 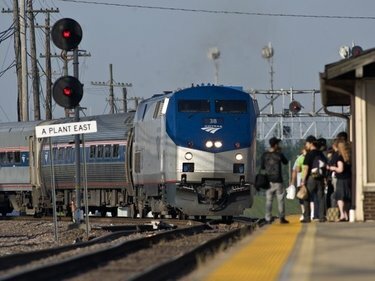 BNSF Railway Company, the second-largest freight railroad network in North America, has mainlines carrying 150 to 200 trains through the city per day, in seven directions. Galesburg is home to two institutions of higher education, Knox College and Carl Sandburg College, in addition to public and private primary schools. There are three major commercial districts with large-name retailers and unique, locally owned businesses. Galesburg is also home to 25 public parks (731 acres of land), 7 public swimming pools, 5 museums, 4 community theatres, 4 indoor sports centers, 3 public golf courses and 2 hospitals. The cost of doing business in Galesburg is lower than state or national averages in several categories. From the bountiful cornfields to the endless blue skies, it's hard not to be swept up in the beauty and possibility of West Central Illinois. The region covers a 300-mile radius that encompasses nearly 34 million people, approximately 15% of the nation’s population. It is the largest 300-mile market west of Chicago. The region is also adjacent to one of the Top 15 Logistics Centers in the Midwest, the Quad Cities. With all of these cities within reach, via multiple modes of transportation, there is no better place to start your business. * Driving time assumes a 10-hour drive day, traveling at an average speed of 65 miles per hour, with no stops; distances are measured in miles and times measured in hours.